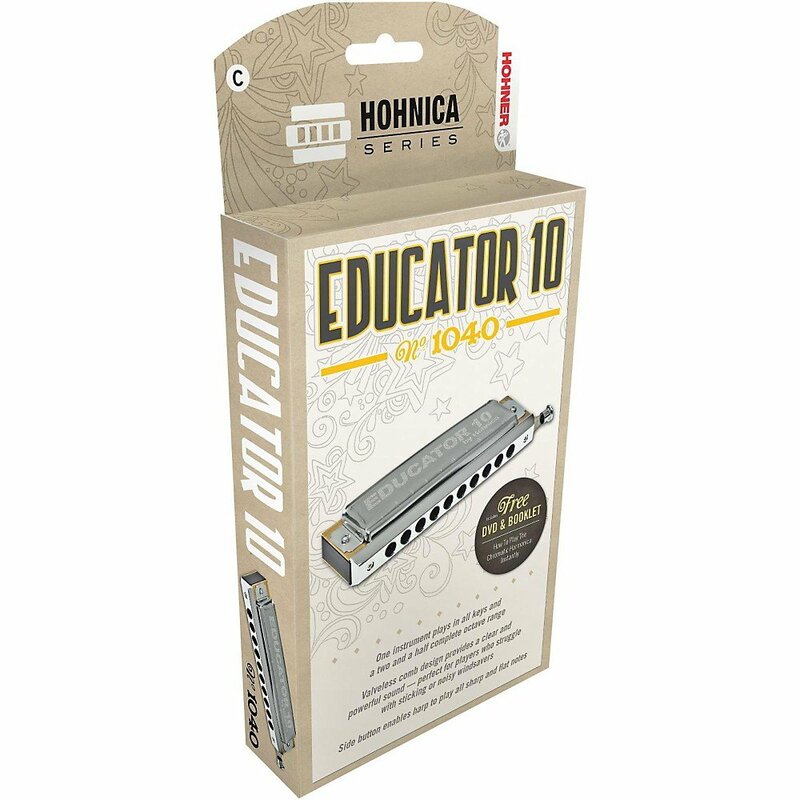 The Hohner Educator 10 chromatic is the harmonica you're seeking, if you have ever wanted to play a certain melody and couldn't find the right note. Like all chromatic harmonicas, the Educator 10 contains all the sharps and flats needed to complete any melody. The 10-hole harp has a unique comb design that eliminates the need for valves, giving harmonica players access to expressive response and tone. The Educator 10 harmonica's unique comb design provides clear and powerful sound-good news for players who struggle with sticking or noisy windsavers. Standard musical genres like jazz, pop, and classical are all within your reach with the chromatic Educator 10. Its affordable price also makes this Hohner harp a good starter chromatic, both for novices and players making a transition from smaller diatonic harmonicas. Hohner delivers the Educator 10 in a zippered pouch and tunes it in the key of C.